According to NFL insider Ian Rapoport, the Washington Redskins are preparing for the upcoming season with the expectation that Alex Smith's gruesome leg injury will prevent him from playing in 2019. 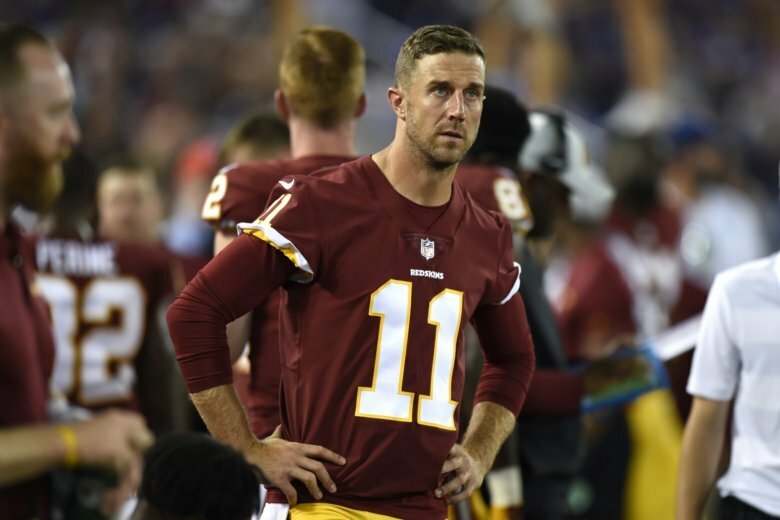 WASHINGTON — According to Ian Rapoport of NFL Media, the Washington Redskins are preparing for the upcoming season with the expectation that Alex Smith’s gruesome leg injury will prevent him from playing at all in 2019. Rapoport, who has previously reported Smith’s playing career is in jeopardy, tweeted this latest report Sunday, adding that the Redskins would be “pleasantly surprised” if Smith played. Smith suffered a spiral compound fracture to his right tibia and fibula in the Redskins’ Week 11 loss to the Houston Texans. The 34-year-old quarterback remained in the hospital for weeks after the surgery to repair his leg because of an infection, and made his first public appearance since the injury at the Wizards’ game against the Detroit Pistons last week. Colt McCoy is the only quarterback the Redskins have under contract for 2019. McCoy also suffered a season-ending leg injury two weeks after Smith. Josh Johnson, who finished the Redskins’ season at quarterback, is a free agent. Although Smith’s injury casts long-term questions about his ability to play in Washington, his contract ensures he’ll impact their salary cap for the foreseeable future. Smith has four years and $22.1 million in bonus money remaining on his contract, meaning the Redskins would face an unwieldy cap hit if they were to release him. Smith, who turns 35 in May, completed 62.5 percent of his passes for 2,180 yards, 10 touchdowns and five interceptions in 2018. His 85.7 passer rating was his lowest since 2010.